Since we started Spins we’ve learnt that casino and slot sites just love to change their welcome offers. 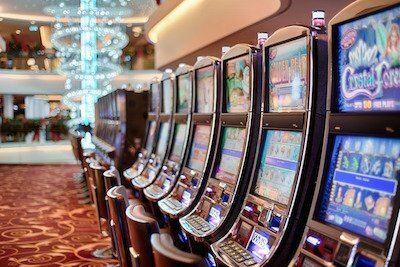 Whilst bingo brands tend to stick with one offer for several months – years even – the casino brands are mixing up their new player incentives all the time. This keeps us on our toes but it’s great news for players. Anyway – here’s a round up of just some of the recent changes. 888 Casino have introduced a new spin the wheel bonus offer for new players to replace the fixed £88 no deposit offer. Sign up and spin the wheel for free to see how big your bonus will be – every spin is a winner! You can win a minimum of £15 and up to an £888 bonus. 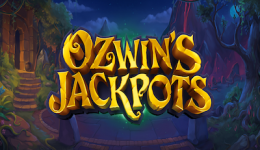 Sister sites Dazzle Casino and Glimmer Casino have brought back some free spin bonuses for new players. Dazzle offers 25 free spins on Dazzle Me when you use the code DZ25 whilst there’s 50 free spins on When Pigs Fly when you use the code 50PIGS. Both offers run until the 24th September. Last week we told you about the first Jumpman Slots site – Dove Slots. To get their 200% first deposit bonus you needed to deposit a minimum of £20. Well there’s good news as that minimum deposit has now been reduced to £10. In addition to the 200% bonus you also get 20 free slot spins. Another site dropping their minimum first deposit bonus is Kerching. They’ve now fallen in line with a host of other Nektan powered slot sites and will accept a £10 minimum deposit from new players. The first deposit bonus is now 100% matched up to £50. Sadly the no deposit bonus has been dropped by Foxy Casino but they have introduced a bigger welcome offer for first depositors. There’s a 100% welcome bonus up to £200 plus for the seven days after depositing you get 50 bonus slot spins making a total of 350. As with all casino offers, information was correct at time of writing. Also wagering terms and conditions will apply to no deposit bonuses, wins from free spins and deposit bonus cash. Wagering terms and conditions apply. All details above were correct when published on August 26, 2016.